Taking action in Moore Oklahoma | KaBOOM! In May 2013, Oklahoma was devastated by tornado outbreaks, including an EF5 tornado – the most powerful classification – that ripped through Moore, completely leveling parts of the community. Entire houses were gone. Schools were destroyed. Briarwood Elementary itself sustained major structural damage and had to be completely demolished. 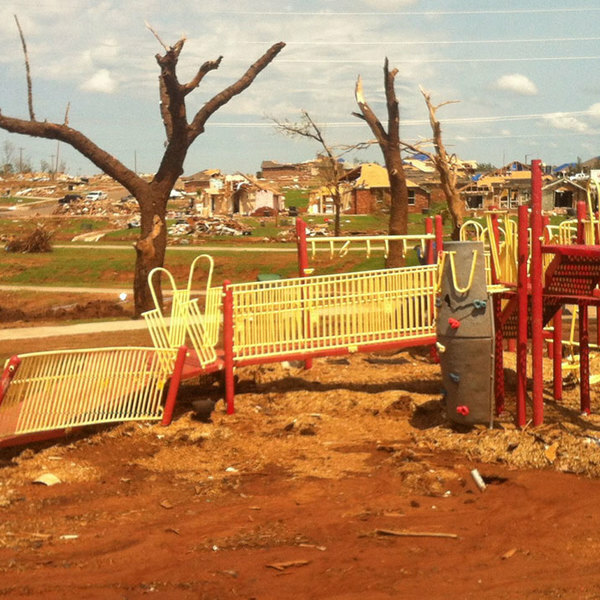 After an EF5 tornado devastated the town and the school was demolished, rebuilding playgrounds helped to rebuild childhoods. With the help of donors and KaBOOM! staff, the community came together in droves, barriers were broken, and willing hands from all walks of life wielded ratchets, pounded hammers, and carried posts. 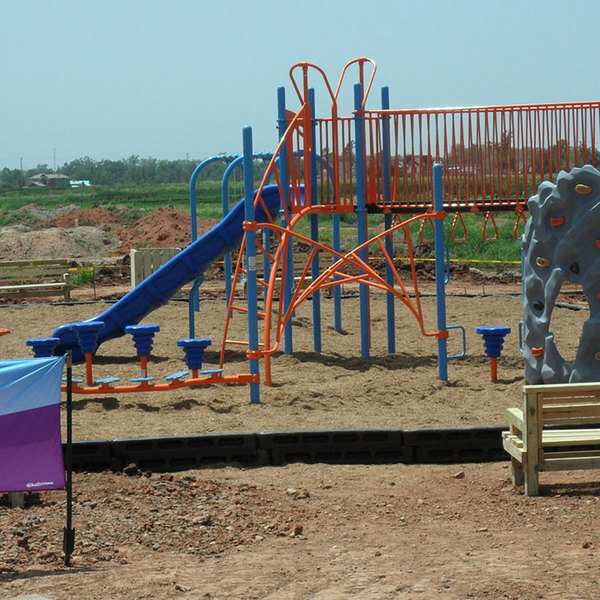 In total we built 5 playgrounds in the Moore area between 2013 and 2014, and awarded two Imagination Playgrounds. The build at Briarwood is fondly remembered. Teachers from the school were out dancing to get people moving in the morning; parents were moving mulch. Their sense of resilience really shone through that day. Over 200 volunteers showed up to ensure kids in Moore could play again. Countless more showed up for the other builds as well.